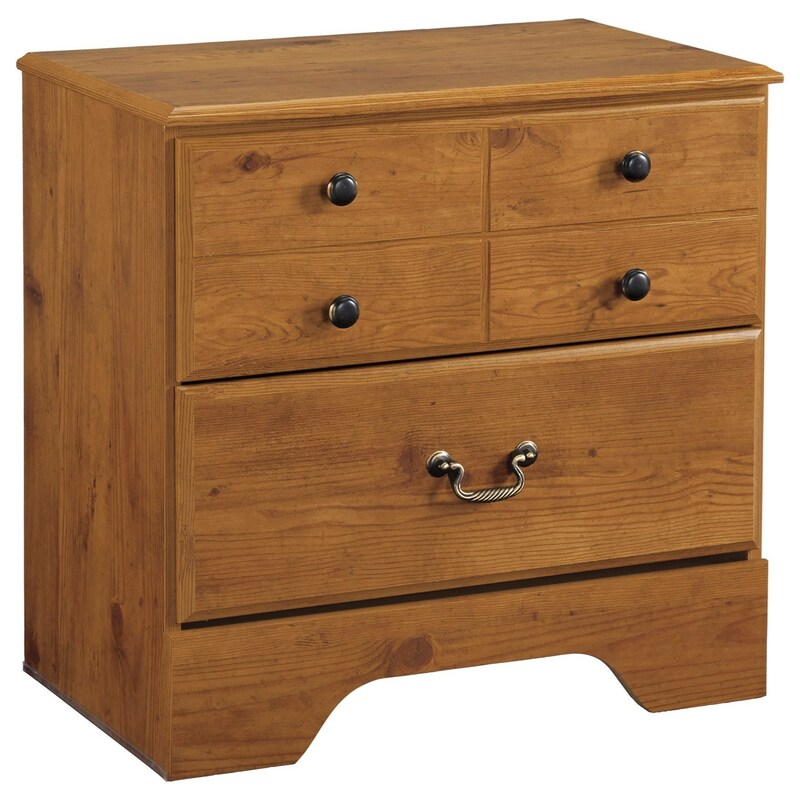 This classic nightstand with two drawers makes an exceptional companion to your bed. 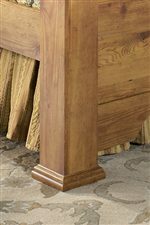 Replicated wood grain wraps this bedside table for a rustic look reminiscent of country styles. 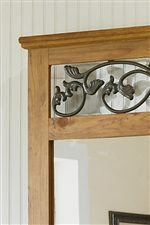 Two drawers with antiqued hardware and classic bracket feet further enhance the chest's traditional appeal. Top with a lamp and place at your bedside for a functional yet stylish bedroom storage piece. The Bittersweet Two Drawer Night Stand by Signature Design by Ashley at Michael's Furniture Warehouse in the San Fernando & Los Angeles area. Product availability may vary. Contact us for the most current availability on this product.